For Craig Dykers, one of the two founders of the studio Snøetta (over 150 architects working in offices in Oslo, New York and San Francisco, with important projects on five continents), “architecture should be generous.” Towards the environment, from which it takes its raw materials, and towards the society that uses it. The distinctive trait of the Scandinavian firm, in fact, is that of concentrating on ethics, meaning building things in a responsible way, seeking a constant dialogue between architecture and nature, establishing a positive integration between culture and the ecological system. Without ever overlooking the important contribution made by technological innovation in modern design. This is what happens in the ZEB Pilot House, a ‘zero-energy’ dwelling ‘generously’ designed by the studio, in spite of its small scale as compared to the bigger projects now in progress (museums, theaters, entire pieces of the city…). The objective was to make a demonstrative work, to monitor over time for parameters of energy efficiency and consumption, and above all open to the public. A useful resource for the community. 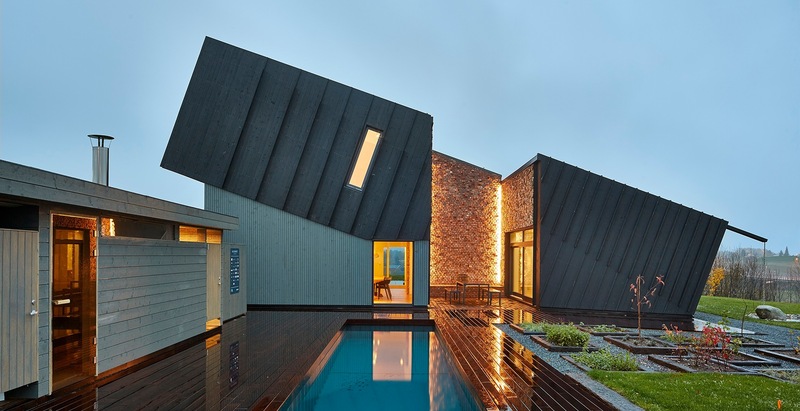 Built in the countryside near the Norwegian city of Larvik, southwest of Oslo, the house is the result of a complex process of design and management, in which Snøetta was the partner of ZEB (The Research Center On Zero Emission Buildings) and Sintec, the largest independent research center in Scandinavia: a working team, then, able to combine scientific knowledge and design expertise (the house has been nominated for the international Mies van der Rohe Award 2015 as one of the finest works of architecture in Europe). The 220 square meters of the single-family dwelling are organized inside a two-story volume formed by an inclined parallelepiped: on one side it rests directly on the terrain, while on the other it is set on a stone base that determines the exact slope of the roof for optimal installation of solar panels. The house relies on only renewable energy (solar and geothermal) to produce a ‘surplus’ with which to recharge an electric car for everyday family use. These results are also achieved by means of choices of construction techniques, materials and orientation, to optimize the overall energy regimen of the building. A garden with vegetables and fruit trees guarantees a zero-kilometer food supply.